The medical community in many countries has responded with great enthusiasm to our Rhino Horn. The result is that medical doctors and Ear, Nose and Throat Specialists recommend Rhino Horn to their patients. I’d like to thank you for this fantastic thing. I used to have problems with blocked nasal cavities for years. It was no exception that it ended with inflammation and antibiotics. In some periods I was in fact addicted to nasal sprays to even somehow breath through the nose. Since I found your Rhino Horn, my life became much better. Prophylactic use made my problems minimal, and even in this most dangerous season, it solves 99% of my problem. I did not have to use a nasal spray for more than a year. No medication, no ATB. Simple, natural, perfect. This month, I would like to introduce you to a sanitary object that I like very much and that you too may find very useful this winter: the Rhino Horn. Why Did I Look for This Type of Product? Colds, allergies, pollution that clogs the sinuses, you know? Generally speaking, in the case of a small cold or moderate discomfort on a daily basis, medications are not necessary. I was, therefore, looking for a more gentle solution to improve my respiratory comfort … and that of my students! Like many people, I have long used saltwater sprays for the nose, but my impression was mixed: the discomfort came back quickly, the post-nasal flow in the throat was not very pleasant, and I was bothered by having to throw away the bottle when it was empty. In conclusion, it was a lot of waste for an often negligible relief. I discovered the Rhino Horn on the advice of an ENT doctor. Even if the sensation may confuse the first time, you get used to it quickly. The efficiency is, in my opinion, much better than the saline water sprays. 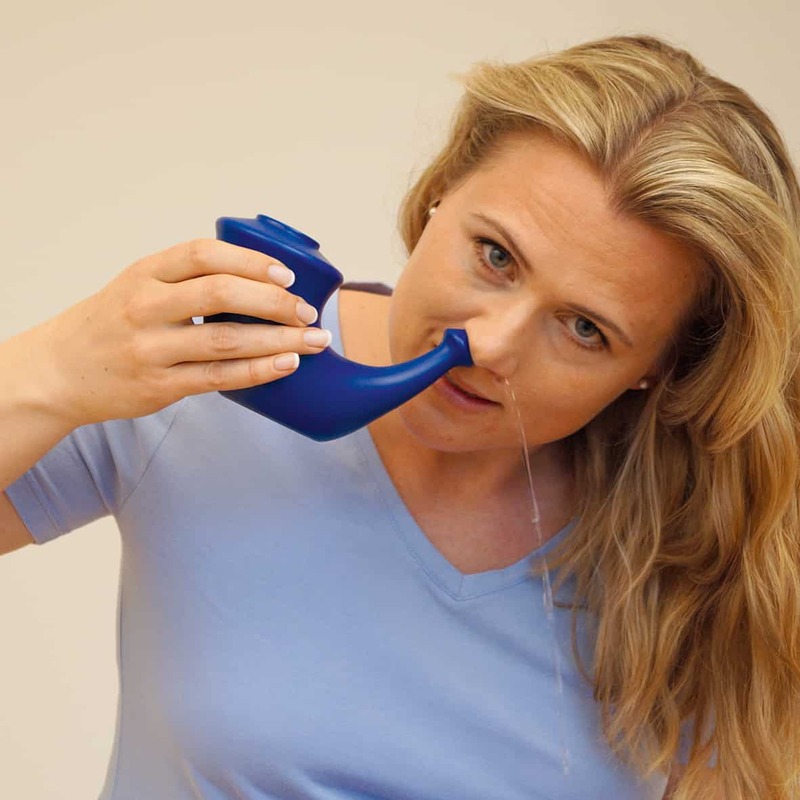 It has a real “flushing” effect that facilitates the evacuation of the mucus in the whole nasal area (because the water passes through both nostrils and the sinuses). The use of Rhino Horn gives a more lasting relief, and I soon appreciated the sensation of freshness in the nose after use. The article continues with an interview with our French distributor of Rhino Horn about the background for the product and the quality specifications of it. 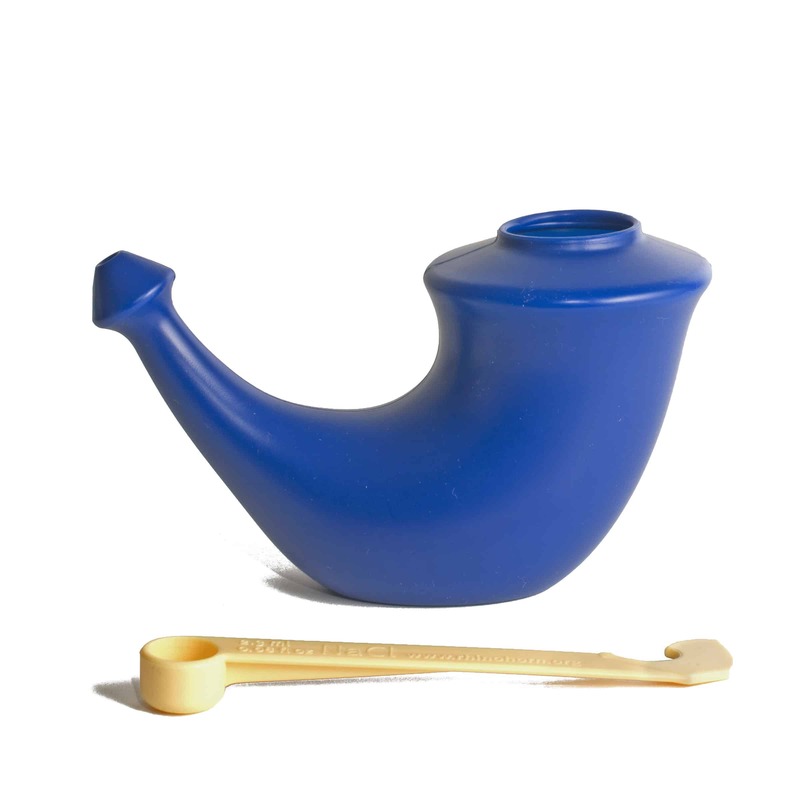 Why is Rhino Horn a Good Neti Pot? 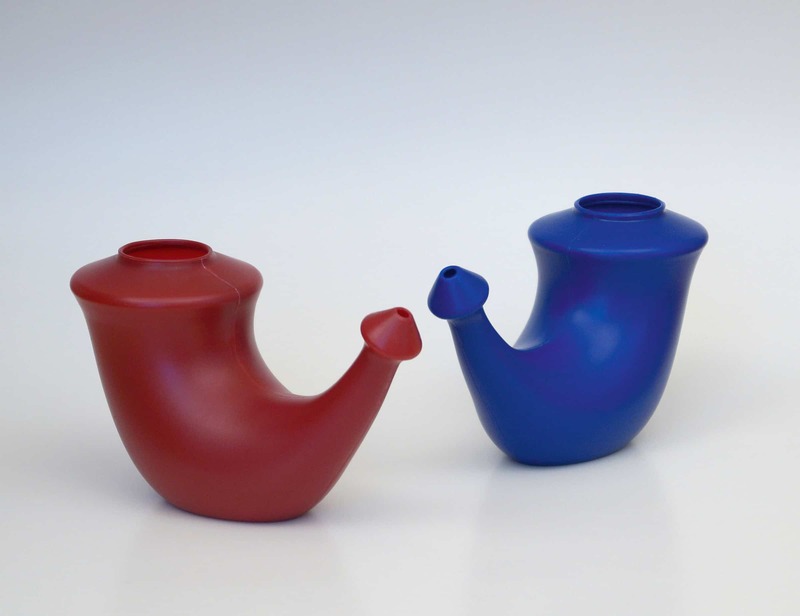 ♦ It is an ergonomically well-designed neti pot – it fits well into the nose, it sits well in your hand. ♦ It is a beautiful design – not clumsy, not vulgar. ♦ The open inside design creates a good natural pressure from gravity. ♦ It is simple to use: your ordinary table salt and water of body temperature – no expensive and unnecessary salt packages. ♦ It is equipped with a specially designed measuring spoon for the correct application of salt. The saline solution should be isotonic, i.e. containing 0.9 % salt (NaCl) for natural and gentle effect on the mucous membranes. 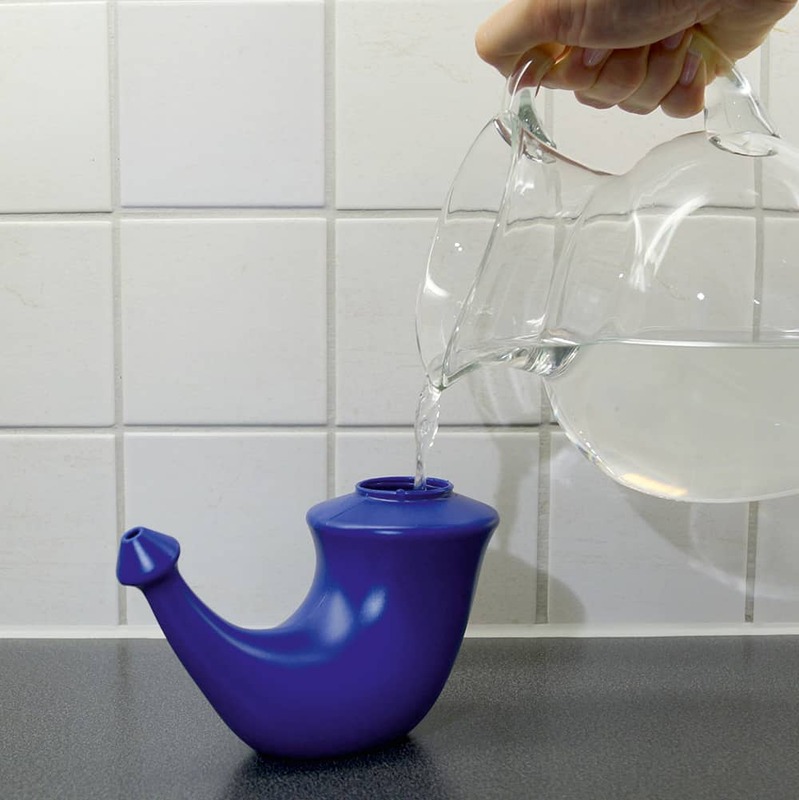 ♦ It is a documented safe neti pot made of a well-tested material (pure polyethylene high density, PEHD) – no toxic elements, no harmful chemicals. Analyzed with REACH 168 test, an EU test for 168 dangerous chemicals. No phthalates, no Bisphenol A, no trace of any of the dangerous chemicals. ♦ It is being produced under the ISO 13485:2003 certificate, a very strict quality production certificate especially designed for medical devices. ♦ It is being recommended by a huge number of ENT doctors, ENT departments at hospitals and GP doctors in the Nordic countries, the Benelux countries, France, the Czech Republic and many other countries. 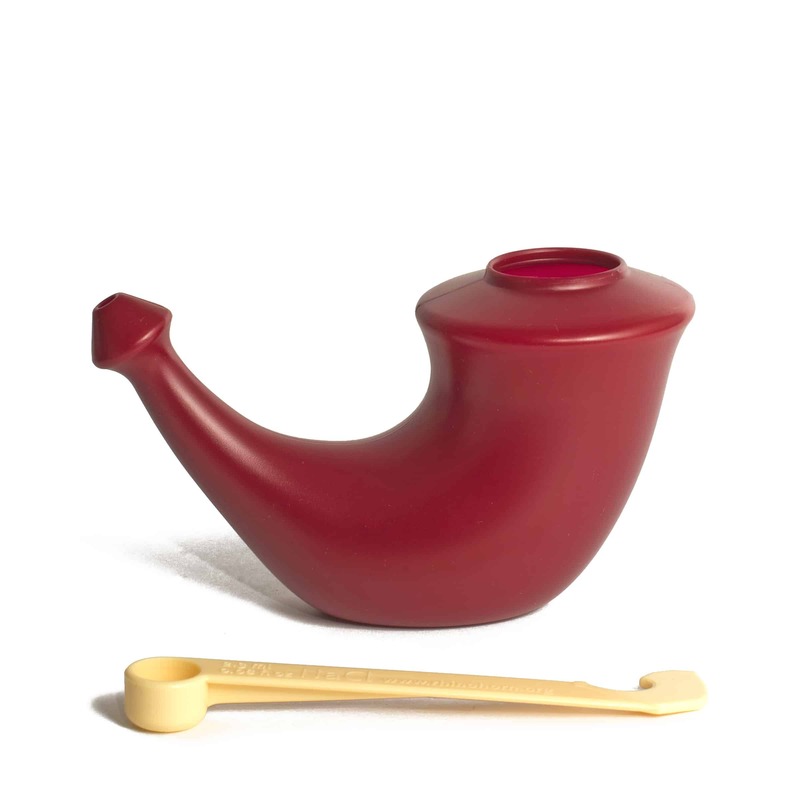 ♦ It is big enough for normal use in both nostrils and small enough for separate use in each nostril in special situations. ♦ It is easy to carry – easy to bring with you while travelling. It’s Easy – and it Helps! Saltwater is the natural and gentle solution for the mucous membranes. Safe to use; no chemicals added, no side effects. Fill the Rhino Horn with body temperature water. The right saline solution will make the use of Rhino Horn pleasant and refreshing. Rinses the nasal passages, relaxes the mucous membranes, sharpens the senses. The water runs through the nostrils by itself by the help of gravity only. The nose is emptied of any remaining water. Result: open nose, free breathing; mucus, pollen and dust rinsed away. For ages, nasal cleansing has been part of folk medicine in many areas of the world, and it is also a recognised natural medical treatment. Many ENT doctors recommend Rhino Horn for their patients. Fishermen all over the world have been rinsing their nasal passages with salt water for generations. In some African tribes, nasal cleansing is referred to as a «purifier of thoughts», i.e. clearing the head. 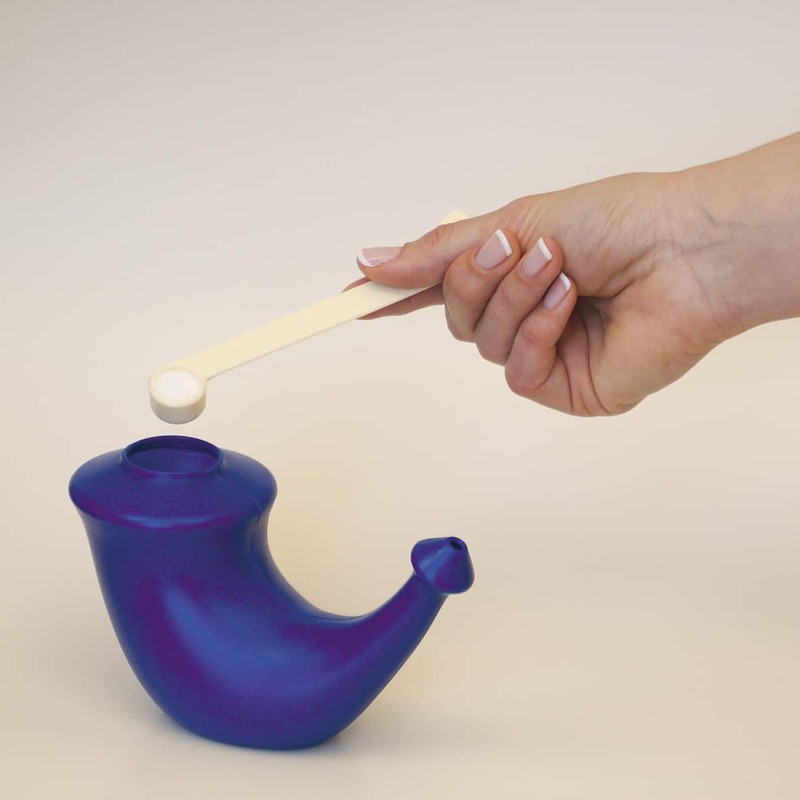 In the Yoga tradition, nasal cleansing is known as Neti. The main reason for Rhino Horn’s success is the huge support of the medical society. Rhino Horn is simple to use, effective, with no side effects and an affordable device to be used for many years with no extra cost. The isotonic salt water of body temperature is very agreeable, refreshing and mild in your nose. Soon you will love the fresh and clean feeling after using Rhino Horn. The use of Rhino Horn is alleviating ordinary nuisances of a clogged nose, e.g. from having a cold. Mucus is removed and the swollenness of the mucous membranes is relaxed. Many snorers report a reduction of snoring after having used Rhino Horn before bedtime. Pregnant women easily get swollen mucous membranes because of hormonal changes. They too are helped by the use of Rhino Horn. Even severe respiratory illnesses like cystic fibrosis, COPD or ciliary dyskinesia are known to be much alleviated by the use of Rhino Horn. Most people like taking a shower simply because it gives a nice refreshed feeling of wakefulness and alertness. An inner shower with Rhino Horn has a somewhat similar effect.